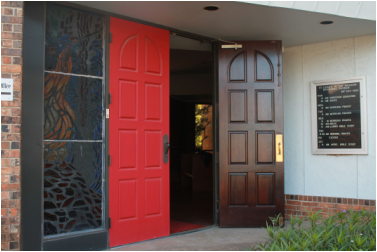 St. Luke's in the Meadow Episcopal Church is an affirming, inclusive, and diverse faith community. No matter where you are on your spiritual journey we welcome you to worship with us. We believe that God delights in the diversity of creation and so do we! We invite you to search, learn and grow with us as we explore faith, hope, healing and the transformational power of Christ’s love. Whoever you are, whatever brings you to this place, we open wide our doors and our hearts to you. Have you been wounded by religion, but still yearn for a spiritual life? Have you been hurt by a church, but still hunger for God’s love? Are you seeking a community that welcomes all of who you are? Come to St. Luke’s in East Fort Worth. 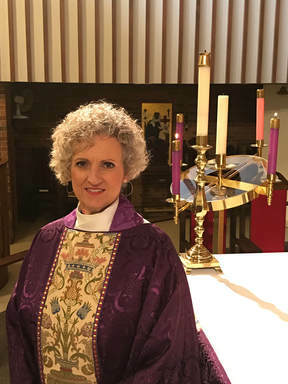 You will be welcomed to worship and guaranteed a one-on-one meeting with a priest who will walk with you on this spiritual journey in the midst of a diverse, loving community. St. Luke's sits in a historic part of Fort Worth on the eastern side known as Meadowbrook. The parish is conveniently located just off of Oakland Blvd., south of Interstate 30 (Tom Landry Freeway). The Meadowbrook Neighborhood has a rich diversity of differing cultures and people, most of which are reflected in the life of the parish of St. Luke's. St. Luke's sits across the street from Meadowbrook Elementary School and next to Meadowbrook Junior High School. The parish is just minutes away from Oakland Lake Park, shopping and dining, as well as the historic campus of Texas Wesleyan University.